Nutrient-poor grasslands are grassy and mostly frilly vegetation formations which grow on meager substrates and are most often dry (semi-arid grasslands, juniper heath, etc.). Natural grasslands occur in Western Europe more widely in the Alps and above the tree line (see mountains). In the plains they are (were) limited to special locations such as the rearrangement routes of rivers such as the Rhine, Lech etc., heathlands and dry to very steep rocky slopes and possibly clearings caused by grazing of wild animals. 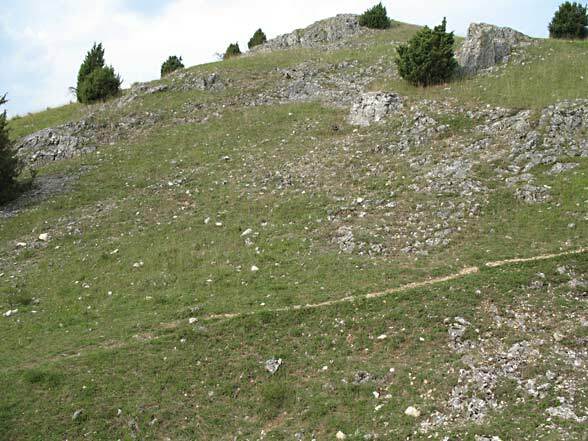 Today the grasslands that still can be found outside the Alps are mostly anthropogenic, are thus obtained by sheep grazing or mowing. Grasslands can first be distinguished according to the substrate. 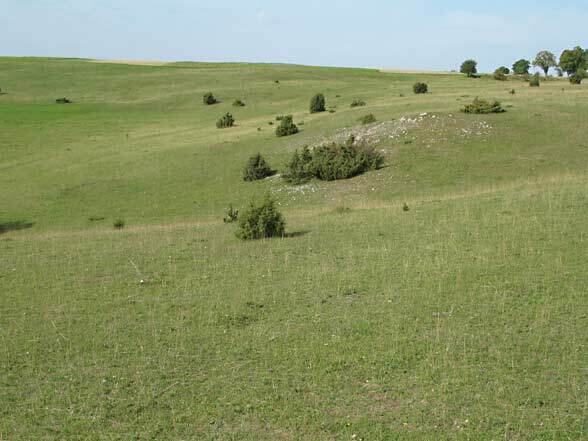 On alkaline- or lime-rich underground calcareous grassland sites occur (e.g. 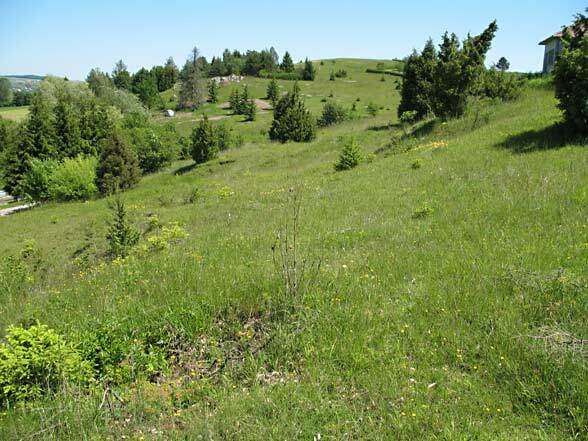 in jurassic landscapes), whereas on low-alkaline undergrounds acidophilic grasslands grow (for example the Nardion with Nardus stricta and Arnica montana in the Black Forest or in the central Alps). A second distinction is to be made by the management. 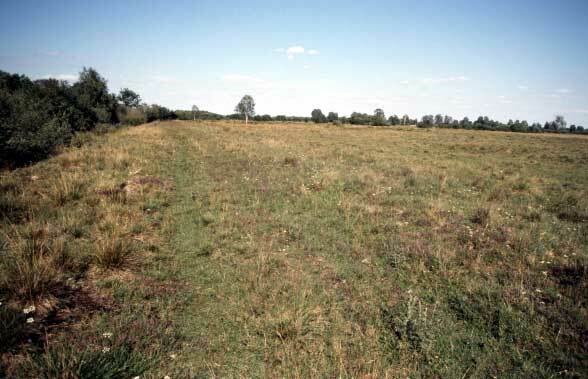 Thus, the alkaline-rich grasslands (e.g. 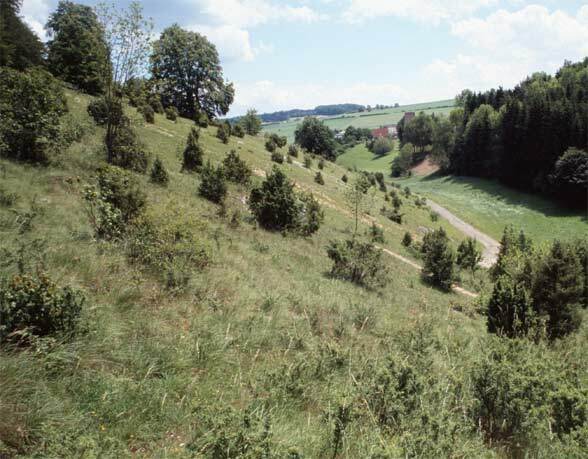 Mesobrometum) of the Kaiserstuhl (Southwest Germany) are traditionally mowed, the grove richer of the Swabian Alb (Southern Germany) mostly grazed by sheep (Gentiano-Koelerietum). In the acidic regions, a grazing results most frequent in Nardus grasslands (Nardion) in Central Europe with, for example, arnica and heather. 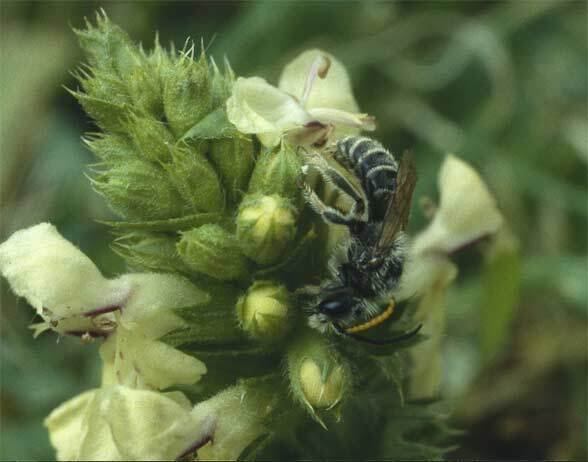 calcareous grasslands are generally more species-rich, especially in botanical terms. Because of low nutrient status and often lower soil moisture due to high water permeability (today, the latter reason is often the more important) no tall, vigorous and nitrogen-loving plants are able to prevail. Thus the soil surface is exposed to the sun and low and slow growing specialists are promoted. 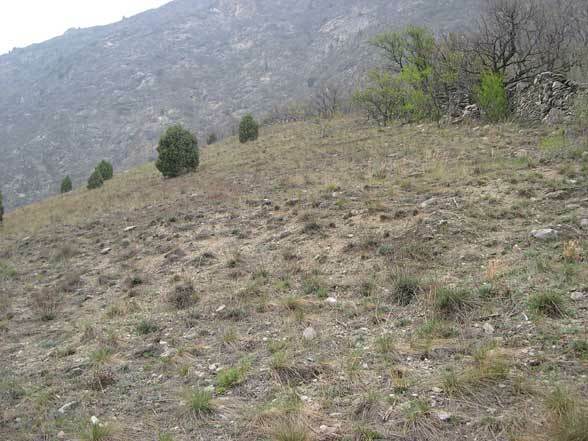 Moreover there is the selective grazing (nutrient removal, favoring toxic, bitter or prickly plant species, improved microclimate by short and gappy plant cover) by sheep and goats and soil wounds because of the hooves etc. The result (usually after very long periods of time!) 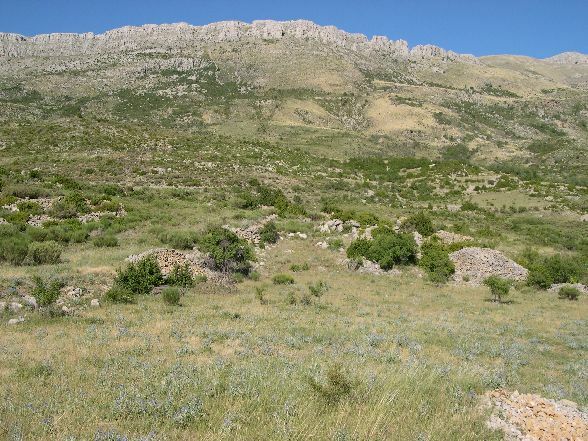 is a highly structured surface with high niche density and biodiversity under microclimate favorable conditions and under extensive grazing conditions also mechanically compatible with the needs of the deloping animal individuals. Although grasslands such as heathlands are now mostly under the protection of various laws, but this only has slowed down the speed of decline - together with dedicated care measures of authorities, organizations and individuals. But there is further decline because in a single case always the so-called public interest is more important than the preservation of the environment, e.g. in the case of new streets and motor ways, new industry or just high-production agricultural pastures. In addition, environmental offenses are rarely punished. Eventually grasslands require an expert care and can not simply be left to itselves, as often happens for reasons of cost. 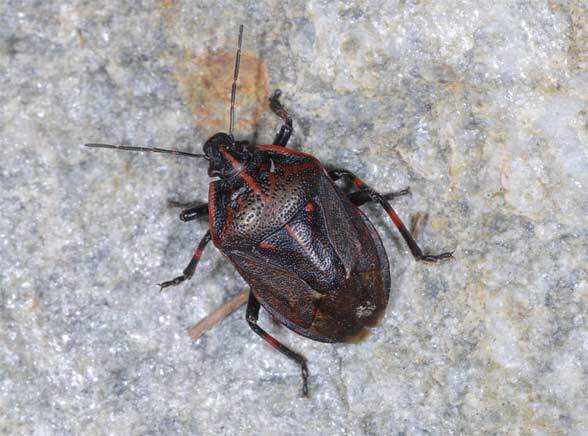 Besides reptiles especially many species of insects are found in grasslands, some of southern origin only on particularly warm slopes (known as extrazonale biocenosis). 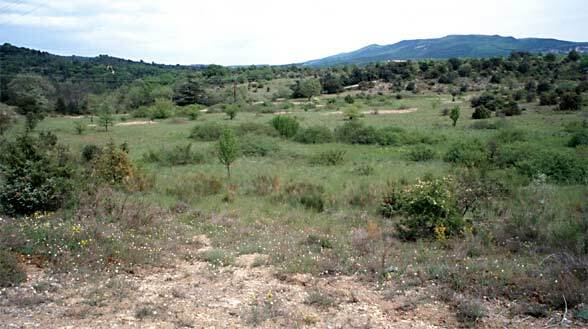 In the context of grasslands one should also mention extensive (up to two mowings per year), relatively species-rich, dry or alternating wet and dry meadows, which have already almost vanished. Causes are primarily the fertilization / intensification with up to 4-8 cuttings per year or even including them in pastures and fields, overbuilding and reforestation.